A must buy for those seeking to recieve a renewal in their lives through the power of the Holy Spirit. A 50 Day daily prayer guide that could change your life and circumstances! As Christians, we celebrate Christmas and Easter, but PENTECOST the third element of the Good News of Salvation seems to be rather neglected. This prayer guide is a tool to help Christians to be open to a personal Pentecost in their own lives, and to pray for a new Pentecost on the earth, so that the fullness of the Good News of Salvation can be proclaimed and experienced with life-changing power. WHY? Our world is a mess! Wars, family breakdown, destruction of the environment, economic crises, social injustice, divisions amongst Christians: the list could go on. 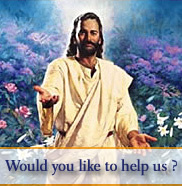 God, our all-knowing Creator, has already sent his Son Jesus as Saviour of the world. Through his birth, death, and resurrection, Jesus restored the human race to right order with God. But do we see that reality on our planet? Do we see the kingdom of God in our midst? Before He ascended into heaven, Jesus told his disciples to wait for the promise of the Father about which you have heard me speak; for John baptized with water, but in a few days you will be baptized with the Holy Spirit... [and] you will receive power when the Holy Spirit comes upon you (Acts 1:4,5,8). It is this power of the Holy Spirit that puts into effect the saving action of Jesus. The third Person of the Blessed Trinity has been sent by the Father and the Son to complete the work of salvation on earth and to bring us the fullness of grace. At the turn of the 19th century an Italian nun called Elena Guerra was inspired to encourage Christians to emphasize this neglected feast and the essential role of the Holy Spirit. She wrote to Pope Leo XIII who then instructed the whole Church to pray a novena (nine days of prayer) for a new outpouring of the Spirit - a new Pentecost. This prayer was answered in a marvelous way, which is described in the Introduction to the Novena. But Pentecost must be on-going. It is for this reason that this booklet has been compiled, to help Christians prepare for this wonderful feast by walking with Jesus for forty days after Easter like those disciples on the road to Emmaus when,"beginning with Moses and all the prophets, he interpreted to them what referred to him in all the scriptures" (Luke 24:27), so that we can then pray with expectation the novena first offered to us by Blessed Elena Guerra. Can you help us Promote and/ or distribute this Book? "Road to Pentecost" Promotional and Distribution information and Poster and Leaflet Downloads. 10 - 19 Save £0.15 ea. 20 - 49 Save £0.30 ea. 50 - 99 Save £0.45 ea. 100 - 9999 Save £0.60 ea. This great magazine is filled with valuable information. For only £1.95 GBP each or for as little as £1.25 GBP per booklet when you buy 100 or more. To buy this book click on the book to take you to the shop. 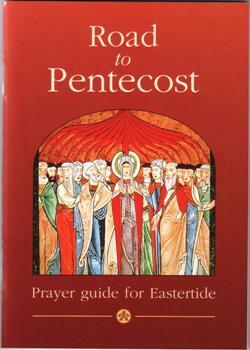 New prayer guide from Easter to Pentecost! We have the four weeks of Advent to prepare for Christmas and 40 days of Lent to prepare for Easter, but the post Easter period is often more of an anti-climax than a period of celebration or of waiting expectantly for the feast of Pentecost. This year, to help us prepare better, Goodnews magazine is publishing a special prayer guide with daily prayers, scriptures and reflections from Easter to Pentecost. The reader will be led to meditate on the whole sweep of salvation history, with short daily reflections, showing how God prepared for the coming of Jesus, his plan for the redemption of mankind and the sending of His Holy Spirit, to empower us to live the Christian life. As we reflect on what God did in the past, we realise He continues to work in the same way in the lives of his people today. The booklet culminates with prayers and reflections for a Pentecost novena starting on Ascension Thursday and leading up to Pentecost Sunday itself. The themes of prayer for each day, echo the intentions asked for by BlessedElena Guerra, an Italian nun who lived at the end of the 19th century, and who persuaded Pope Leo XIII to call for a novena to pray especially for Church unity, renewal of the Church and renewal of society. We hope that this little booklet by helping people to pray and focus more on the build up to Pentecost will enable people to better receive the many graces God wants to shower on us and help equip us spiritually for the times ahead. The booklet is ideal for people who have completed the RCIA and have been received into the Church at Easter to help reinforce what they have learnt and for parish groups and those who like a short daily reflection to encourage them in their spiritual life. Before He ascended into heaven, Jesus told his disciples to wait for the promise of the Father about which you have heard me speak for John baptized with water, but in a few days you will be baptized with the Holy Spirit... [and] you will receive power when the Holy Spirit comes upon you (Acts 1:4,5,8). It is this power of the Holy Spirit that puts into effect the saving action of Jesus. The third Person of the Blessed Trinity has been sent by the Father and the Son to complete the work of salvation on earth and to bring us the fullness of grace. novena (nine days of prayer) for a new outpouring of the Spirit - a new Pentecost. This prayer was answered in a marvelous way, which is described in the Introduction to the Novena.